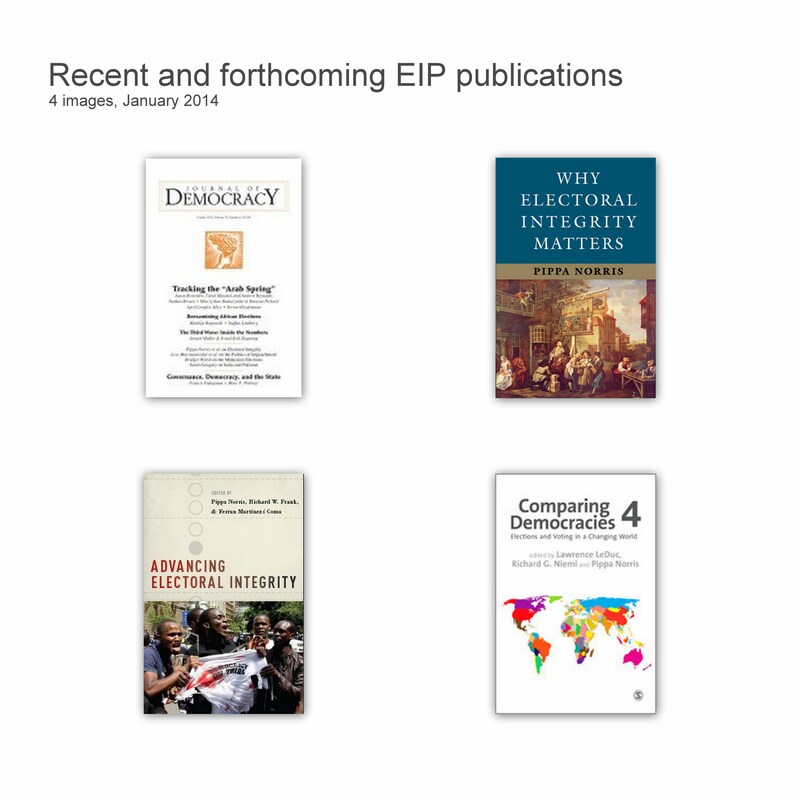 Description: In September 2014 International IDEA and the Electoral Integrity Project invited submissions for the second electoral integrity graduate student essay competition. The International IDEA/EIP Award is presented to the author of the best graduate student paper submitted for consideration on the theme of strategic interventions to strengthen electoral integrity. The winner was selected on the basis of the paper’s potential significance—both theoretical and policymaking—to the study of some aspect of the election cycle. Abstract: Post-election disputes happen in 21% of the democratic presidential elections in the world since 1974. Why so? I argue that in presidential democracies, losing political parties are not rejecting the outcome of the election to publicize fraud but rather to induce the winning party to negotiate benefits for the losing party. Using an original dataset that codes behaviors of runner-up candidates in 180 presidential elections (1974-2012) and that controls for de-jure autonomy of electoral adjudicating institutions (763 years of electoral legislation), I find evidence that, in democracies, losing parties with an unfavorable negotiating position in Congress will be more prone to dispute presidential election outcomes. The award committee thought that this paper represented a significant contribution to scholarship’s understanding of electoral integrity in elections in authoritarian states. Victor Hernández-Huerta is a Ph.D. candidate of Political Science at the University of Notre Dame. His research focuses on institutions, elections and electoral justice, with a regional specialization on Latin America. He currently focuses on post-election disputes in democracies. His dissertation explores the behavior of losing candidates and parties. Committee: Scott Mainwaring (Chair), Guillermo Trejo and Monika Nalepa. The winner, Victor Hernández-Huerta, is provided with (1) the opportunity to publish his paper as part of the International IDEA and Electoral Integrity Project working paper series; (2) funding to attend and present the paper at the pre-APSA workshop on “What Works? Strengthening Electoral Integrity”, sponsored by EIP, International IDEA, and the Elections, Public Opinion, and Voting Behavior organized section (EPOVB) on 2 September 2015. Description: In September 2013 International IDEA and the Electoral Integrity Project invited submissions for the inaugural electoral integrity graduate student essay competition. The International IDEA/EIP Award is presented to the author of the best graduate student paper submitted for consideration on the topic of electoral integrity, broadly defined. The winner was selected on the basis of the paper’s potential significance—both theoretical and policymaking—to the study of some aspect of the election cycle. The 2014 award was given to “Beat Me If You Can: The Fairness of Elections in Dictatorships” by Masaaki Higashijima (Michigan State University). Abstract: When do dictators use electoral fraud? This paper sheds light on a dilemma that dictators face in holding elections: rigged contests maintain their power most safely. But the results do not signal regime strength or generate reliable feedback about popular support. Under this dilemma, the paper argues that the dictator’s power of popular mobilization determines the level of electoral integrity. The study theorizes, in particular, that dictators with rich financial resources and effective organizations, facing a weak opposition, rely less on electoral manipulation. By contrast, fraud is more pervasive where dictators have fewer economic resources, weaker organizations, and where they face stronger opposition. Statistical analysis of 67 dictatorships provides empirical support for the hypotheses. Masaaki Higashijima was a Ph.D. candidate of Political Science at Michigan State University. He studies comparative politics and post-communist countries. His dissertation explores the causes and consequences of authoritarian elections. His research has been funded by the National Science Foundation, the Fulbright Program, and the Suntory Foundation, among others. Committee: Eric C.C. Chang (Chair), Cristina Bodea, Christian Houle, and Ani Sarkissian. The winner, Masaaki Higashijima, is provided (1) the opportunity to publish his paper as part of the International IDEA and Electoral Integrity Project working paper series; (2) receives funding to present the paper at the EIP pre-IPSA workshop on Citizens, Parties, and Electoral Contexts held in collaboration with the Making Democracies Work project in Montreal on 18 July 2014 as well as at (3) presents his paper at an international policymakers conference in coordination with International IDEA.